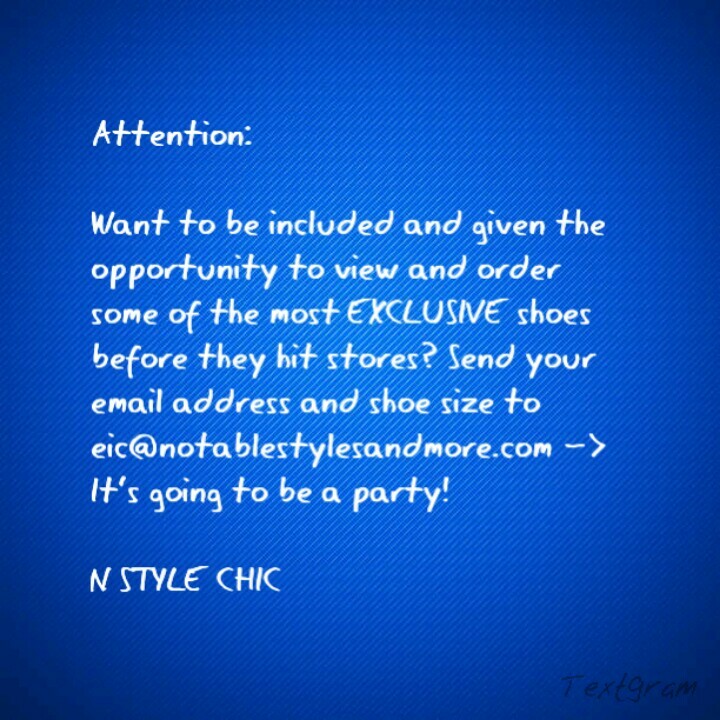 Pre-Order and Purchase EXCLUSIVE shoes from N Styles Chic!! 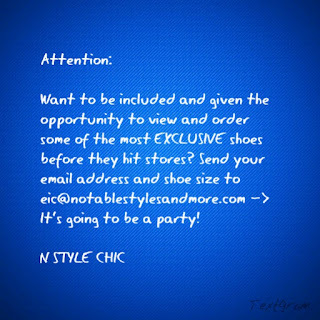 Submit your email address and shoe size to eic@notablestylesandmore.com to receive priority notification of when the hottest, most EXCLUSIVE shoes become available! You will be the first to know! Seriously, I don't think that you want to miss out on this. It will only take seconds to send out your email.